Did he just stick his fork in my mouth? Does my face reveal my utter bewilderment? Or does it reflect the sleeping feminist in me who is a fraction of a second from awakening and slapping him into next Tuesday? Malcolm was my mentor. There was no ambiguity about it, no leers from him, no doe eyes from me. We would talk for hours every day, I would go to lunch with him, and little by little, he had introduced me to the business world. He treated me as an equal, and he clearly wanted to help me achieve success. Sometimes he seemed to be on a mission to reinvent my life, which was already going just fine, thank you very much. Why do some people who have impeccable demeanor in a professional setting become babbling preteens when they venture into anything resembling a friendship? It must be the businessman syndrome. A tragically widespread syndrome that causes wealthy men to forget about respect and common courtesy. When Malcolm invited me over for a soirée with some friends, I was looking forward to it. Had I known the surprise that awaited me, I would have taken a pass. Going to the grocery store with him was excruciating. Excruciating because my questions about the other guests were met only with grunts. Excruciating because a glance in his half-empty basket and the lonely bottle of red wine in it revealed that this “soirée with some friends” was a date. And the smile ran away from my face. By now I was a touch irritated. Perhaps just a bit defensive. The most disturbing moment of the evening was doubtless when we got to his apartment. The coffee table was piled high with motivational self-help books, or whatever passes for self-help books. Less than reassuring. So there I was, awkwardly seated at the table, on some kind of a stealth date, my feet angled toward the door, ready for a hasty exit. Malcolm seemed to have forgotten how to have a one-on-one conversation, and an uncomfortable silence reigned in the dining room. He finally spoke up to ask if I wanted to try his salad, to which I responded with a befuddled stare, “But Malcolm, we’re both eating the same thing.” I guess my mouth remained open too long, because the numbskull chose that moment to insert his fork. 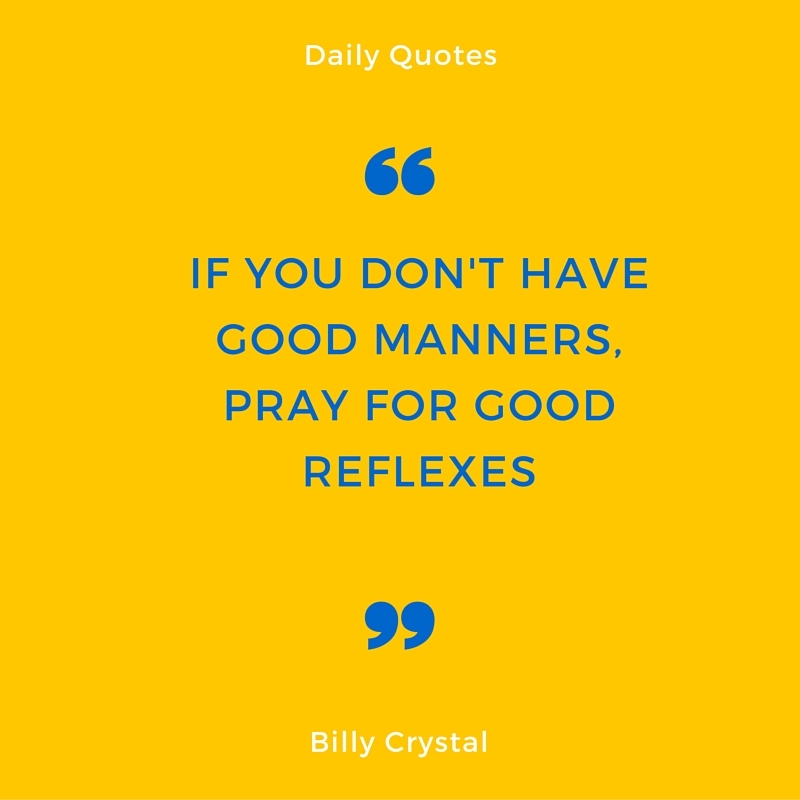 I rose to my feet, and in one grand gesture, I sent the napkin flying and slapped him across the face, saying to myself, “If you don’t have good manners, pray for good reflexes” (Billy Crystal).